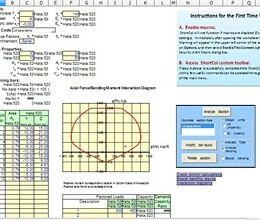 ShortCol computes ultimate strength of reinforced concrete column subjected to combined axial force and bending moment. Ultimate strength is found from strain compatibility analysis assuming equivalent rectangular concrete stress distribution. In addition, ShortCol calculates transformed properties of fully cracked reinforced concrete section at ultimate limit state and calculates crack width at service limit states. 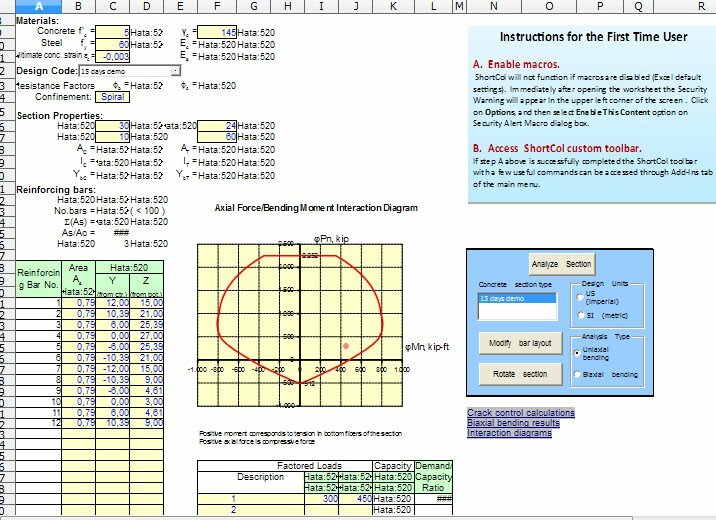 * ShortCol download link provides trial version of the software for Shortcol and Eurocode 2. ShortCol has been rated 5.0 out of 5 points. A total of 1 votes cast and 0 users reviewed the software.